A master of fun and creation, Justin is the hack wizard of Nerf guns and 3D printing. Justin brings ideas to life before your sentence is fished. His abilities to delivery custom parts and find innovative solutions to vexing problems makes him an invaluable addition to Team Vondrone’s band of idea people. 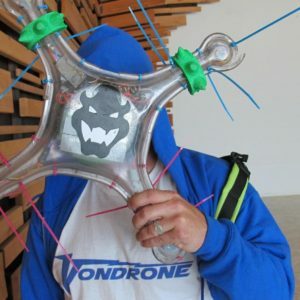 Justin’s talents go beyond hacking; he’s a devilishly competitive pilot in his own right, having built numerous FPV racing drones, each outpacing the last. If you can think it, Koopa can build it.